Ian Shive Photography in association with Wild Collective has released the final installment of the four part series chronicling the “making of” photographer Ian’s new book, The National Parks: Our American Landscape . In this episode, Shive reflects on one of his favorite national parks, The Channel Islands. Wild Collective shot the footage, sound and photos on location. 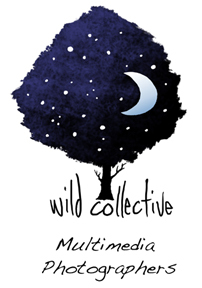 Wild Collective, a Los Angeles based multimedia company, is looking for 10 multimedia-savvy photographers to represent for our commercial clients. We have recently engaged in some new work and need photographers who have shot for multimedia in the past and know what it means to shoot for it. You do not need to know how to put your own piece together – we have a production team who will do that for you – but production knowledge is helpful and knowing how to take on a top-tier commercial or editorial assignments is a must. This is a non-exclusive representation meaning you can still take all your own clients but in addition we will market you under our banner for our projects that need photographers. This new division will be launching June 1st and we will be taking applications/submissions until May 1. Please send a portfolio of your photography, a list of your past clients and if available, tear sheets of published work. Applicants with their photos in a finished multimedia piece go to the front of the line. Email photographer “at symbol” wildcollective.com. Please send links, no attachments. On Wednesday, March 24th, take a photographic journey from the Florida Everglades to the highest mountain in North America with Ian Shive, author and photographer of the new book, The National Parks: Our American Landscape . Shive will describe the challenge of finding new ways to document national parks that have already been photographed countless times – and how he brought a fresh perspective to that work. Ian will explain how an aggressive marketing campaign led to the success of the top-selling title and describe how applying multimedia, social networking, and internet-based publicity were used to further develop his career in editorial and commercial photography. Ian Shive is a Los Angeles based conservation photographer whose award-winning work has received critical acclaim nationwide. His images have appeared in numerous publications including National Geographic, Outside, Time, U.S. News & World Report, and many others. Shive presented his images and perspective on climate change at the United States Capitol in Washington D.C. for the head of the National Park Service and members of Congress. Shive is also the host and producer of the national park travelogue series, Wild Exposure, airing on Al Gore’s Current TV cable network. He is also the co-founder of the multimedia production company, Wild Collective.